With the amalgamation of the SER and LC&DR Management Committees on 1st January 1899, bridges between the erstwhile separate entities and rivals were built – quite literally. One of the company’s earliest endeavours was the joining of the ex-SER and ‘’Chatham’’ trunk lines at a point south of Chislehurst. This was undertaken in conjunction with the quadrupling of the ex-SER route between St Johns and Orpington; the LC&DR’s line had previously been quadrupled between Bromley South and Bickley in 1894. Work on what transpired to be a maze of connecting lines, began in 1900. The commissioning of the first connecting loop between the trunk lines preceded four track running on the ex-SER route by nearly two years. On 8th September 1902, a connecting line of just under ¾ mile in length was brought into use. This linked the ‘’down’’ line of the ‘’Chatham’’ route from just east of Bickley, with the ‘’down’’ track of the ex-SER route, ⅞ mile south of Chislehurst station. Known colloquially as the ‘’down’’ Bickley Loop, it was followed six days later by the opening of a connecting track performing the opposite function, this appropriately named the ‘’up’’ Bickley Loop. On the ‘’Chatham’’ route, the point of divergence became known as ‘’Bickley Junction’’, whilst that on the ex-SER tracks was christened ‘’Orpington Junction’’ – there was no Petts Wood station at this time, hence the name of the next station southwards was assumed. Despite the emergence of the connecting lines, four-track running on the SER trunk route did not begin until 6th June 1904, and even this was not the whole line, it instead being the Elmstead Woods to Orpington section. 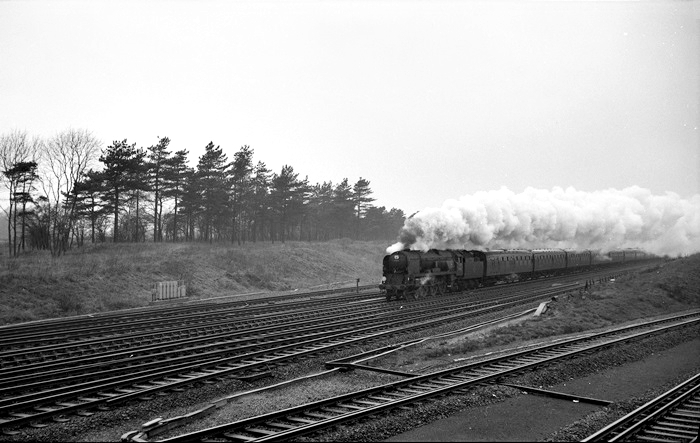 However, provision of further connections between the two lines was swift thereafter, and Charing Cross acquired a direct coast-bound link with the ‘’Chatham’’ main line with the opening of the ‘’up’’ and ‘’down’’ Chislehurst Loops on 19th June of the same year. Under the Southern Railway, the loops received third rail as part of the company’s early electrification of the ex-SE&CR suburban lines. EMU operation from Holborn Viaduct and Victoria, to Orpington, was possible from 12th July 1925, with the electrification of both Bickley Loops. This was then followed by the installation of third rail along the section of quadruple track from Orpington Junction, right up to Charing Cross, the ‘’juice’’ being ready for scheduled electric services on 28th February 1926. In connection with this, a three-storey high red-brick electric substation was established at Chislehurst Junction: it was positioned to the immediate north of the ‘’Chatham’’ line and rested parallel with the ex-SER tracks. 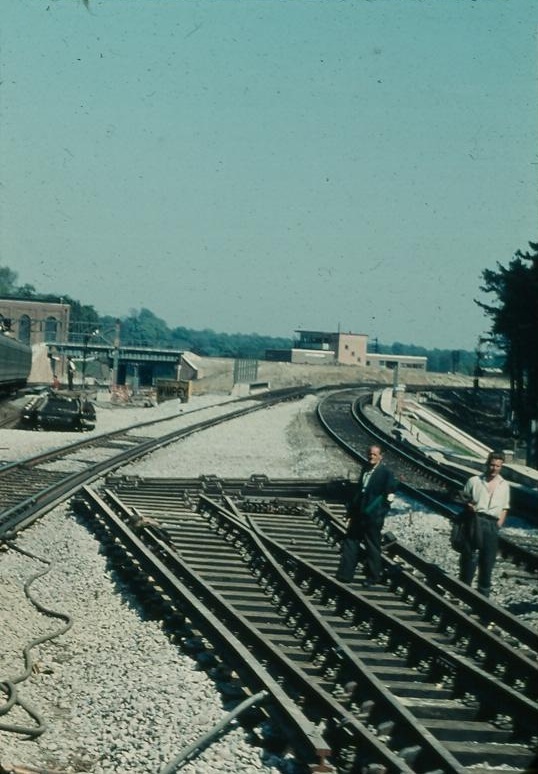 The next bout of electrification occurred in 1935: on 6th January of that year, the Chislehurst Loops became live with the extension of third rail from Bickley, through to Swanley, this being extended further from the latter and onto Gillingham on 2nd July 1939. Meanwhile, a new station had opened at Petts Wood on 9th July 1928, ⅓ mile south of Orpington Junction. The latter remained so named until 8th July 1936, when it was renamed ‘’Petts Wood Junction’’, harmonious with the closest station. The SR’s last major act at the locality occurred some five years later: the SER-inspired all timber signal cabin at Petts Wood Junction was replaced with an austere two-storey all brick flat-roofed design. A German bomb had caused the destruction of the SER cabin in 1941, during an air raid in April of that year. The threat of further bombs explains why the replacement SR cabin was so solidly built.